Tilda Shalof is a Toronto-based ICU nurse who combines critical care nursing with a very successful writing career. Shalof has authored more than five books, including the best-seller A Nurse’s Story. All of her books explore an aspect of nursing, from critical care to camp nursing to being a cardiac patient herself. I have often found myself devouring her latest work in a single sitting as her writing is conversational and very engaging. In her most recent work, Bringing it Home – A Nurse discovers health care beyond the hospital, Shalof was commissioned by the Victoria Order of Nurses (VON) to take a tour of some of the home care services they provide across the country. This fascinating and sometimes poignant road diary left me in awe of these invisible and unsung nurses who work with the most neglected members of society. Shalof herself begins the book by candidly confessing that at first, she lacked enthusiasm for this assignment and had to be convinced to take it on. I mean, let’s be honest, for an ICU nurse, home care nursing is not high up on the list of sexiest jobs! But over time, Shalof’s eyes are opened and she concludes her road trip with a new appreciation for the crucial role these nurses play in supporting all of us, at one point in our lives. There are so many things that still make no sense to me in the hospital. like the waste we create and the excessive use of technology; the restricted visiting hours and the no-pet policy. The fact that patients aren’t invited to participate in team rounds about their own care. Why aren’t people allowed – no, encouraged, to read their own charts? […] Why are there nurses and doctors who don’t talk kindly – or at times even courteously – to patients, or who can’t find it in themselves to sit down and simply listen to what the patient has to say? […] Why is there so much waiting in hospitals, and if you do have to wait, why can’t someone come out and tell you why and how much longer you’ll still have to wait, and maybe even do it with a smile? […] in all of my travels outside the hospital, in all of my visits to homes, clinics, community centres, I saw patient care that was governed by logic, fairness and common sense, administered with kindness and goodwill – not to mention fiscal responsibility and restraint. More please. This book presents a stark account of the realities of ageing for some many patients who do not have money, or family to care for them. It also highlights a whole host of skills and duties that most of us would not associate with VON: street outreach, pregnancy support, drug and alcohol support and many other invisible acts of kindness and assistance. Kudos to Tilda Shalof for showing us the beautiful side of these talented, compassionate nurses. Written by top thought leaders in nursing today, Person and Family-Centered Care offers a new approach that emphasizes the person as partner, embraces the family, and encompasses all care delivery locations. At the forefront of this movement are authors Jane Barnsteiner, Joanne Disch, and Mary K. Walton, who present a surprisingly practical clinical reference covering a vast array of patient-care scenarios, together with effective strategies for achieving optimal outcomes. This ground breaking text is a complete resource that ensures the needs of patients, families, and caregivers are met. Published by Sigma Theta Tau International. Full reference: Mathieu, F., & McLean, L., (2014) Managing Compassion Fatigue, Moral Distress and Burnout in a context of patient-centered care in Walton, M., Barnsteiner, J., & Disch, J. 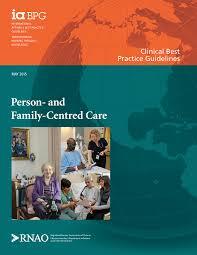 (eds) Patient/Family Centered Care – Patient and Care Provider Considerations, Sigma Theta Tau International. I have been doing a lot of training this Fall, offering the introductory course on compassion fatigue and vicarious trauma, the Part Two compassion fatigue workshop (a brand new presentation), a series of workshops on mental health, crisis intervention and the compassion fatigue train the trainer. I love doing these presentations as they are always different: each group has different needs and reactions, and each group has resources that are best suited to them. I will soon be winding down for the season and taking the month of December off to retool and…read lots of books! I grew up in a book-loving family and the best part of Christmas was always settling down with our new book haul and settling in for hours of pleasure and escapism. We used to go to this wonderful second hand bookstore in Montreal called the Book Nook (sadly, long gone) and do most of our gift shopping there. Gabor Maté’s workshop in Toronto last week attracted so much interest that the location had to be changed: Within days of posting the event, five hundred participants had signed up. The organisers had to scramble and find a new location for the event and settled on a movie theatre. I was a bit sceptical when I settled myself in for the talk: there were no visual aids, just a gaunt man dressed in black standing at the front of the theatre with a few newspaper clippings in his hands. And then, the day began and I lost track of everyone else in the room. Dr Maté is a gifted and riveting speaker. “Can a person literally die of loneliness? Is there a connection between the ability to express emotions and Alzheimer’s disease? Is there such a thing as a “cancer personality”? Questions such as these have long surrounded an often controversial debate regarding the connection between the mind and the body in illness and health. As ongoing research is revealing, repressed emotions can frequently lead to stress—which, in turn, can lead to disease. Provocative and beautifully written, When the Body Says No provides the answers to these and other important questions about the effects of stress on health. In clear, easy-to-follow language, Dr. Gabor Maté lucidly summarizes the latest scientific findings about the role that stress and individual emotional makeup play in an array of diseases, including heart disease, diabetes, irritable bowel syndrome, multiple sclerosis, arthritis, cancer, and ALS, among others. Offering profound insights into the link between emotions and disease, When the Body Says No explores the highly debated effects of stress on health—particularly of the hidden stresses we all generate from our early programming. Dr. Gabor Maté explains how, when the mindbody connection is not optimal, various illnesses can crop up—everything from heart disease and eczema to irritable bowel syndrome and ALS. He presents the scientific evidence that a connection exists between the mind and the immune system—along with illuminating case studies from his years as a family practitioner that reveal how one’s psychological state before the onset of disease may influence its course and final outcome. As Dr. Maté wrote in The Globe and Mail: “When we have been prevented from learning how to say no, our bodies may end up saying it for us.” When emotions are repressed, this inhibition disarms the body’s defenses against illness. And, in some people, these defenses go awry, destroying the body rather than protecting it. Despite a rapidly accumulating body of evidence attesting to the mind-body unity, most physicians continue to treat physical symptoms rather than persons. When The Body Says No argues persuasively that we must begin to understand the mindbody link in order to learn more about ourselves and take as active a role as possible in our overall health. Dr. Maté explains how the dynamics of self-repression operate in all of us. With the help of dozens of moving and enlightening case studies and vignettes drawn from his two decades as a family practitioner, he provides poignant insights into how disease is often the body’s way of saying “no” to what the mind cannot or will not acknowledge. Above all, When the Body Says No promotes learning and healing and helps improve physical and emotional self-awareness—which, Dr. Maté asserts, is at the root of much of the stress that chronically debilitates health and prepares the ground for disease.” from www.whenthebodysaysno.ca. Dr Maté will be returning to Toronto for an encore in June. **Addenda: I have just received the flyer for Dr Maté’s next presentations: June 28th 2010 at the AGO in Toronto and June 29th at the Cinémathèque in Montreal. For more information visit the Hinks Dellcrest Centre. I am right in the middle of reading this book but wanted to share it with you as it is such a find. The author has over 20 years of trauma work under her belt and brings a very fresh look to vicarious trauma. “Are you sure all this trauma work hasn’t gotten to you?” He asked. I will share more about this book as I read on, but so far, it’s very engaging. This short, reflective book was written specifically for clinicians: psychologists, mental health counsellors and social workers. It will be most useful to those with a background in clinical psychology who do face to face work with clients on a regular basis. I was thrilled to see that Dr Wicks centers his approach on the use of positive psychology and mindfulness. My conclusion: A lovely erudite book on self care for clinicians who are ready to reflect on their own journey of compassion fatigue and self care. Mindfulness-Based Stress Reduction (MBSR) is a holistic mind/body approach developed by Jon Kabat-Zinn at the University of Massachussets Medical Center in 1979. MBSR is “[…] based on the central concept of mindfulness, defined as being fully present to one’s experience without judgment or resistance”. (Cohen-Katz et al, 2005) The MBSR program recommends using meditation, yoga, relaxation training as well as strategies to incorporate these practices into every day life. Research on the effectiveness of MBSR is highly conclusive: over 25 year of studies clearly demonstrate that MBSR is helpful in reducing emotional distress and managing severe physical pain. In fact, MBSR has been used successfully with patients suffering from chronic pain, depression, sleep disorders, cancer-related pain and high blood pressure. (Cohen-Katz et al, 2005) Based at Toronto’s CAMH, Zindel Segal has developed a mindfulness-based cognitive therapy program for treating depression that has shown to be highly effective. I devoured these two books in 48 hours. Could not put them down. Tilda Shalof is an intensive care nurse who works in Toronto and has been in the field for over 20 years. She is also a gifted writer and storyteller. I found her books riveting for two reasons. The first is that I have always loved hospitals (go figure, I know that is rather unusual) and found her account of working in the ICU absolutely fascinating. She describes the dynamics between nurses, dealing with doctors and residents, patients and their families, particularly when things go wrong. This is a concept that I discuss at length during my half day and full compassion fatigue workshops. Babette Rothschild explores several concrete strategies to deal with this somatic empathy in her book Help for the Helper (2006). I’m off to Montreal this week, to present at the Jewish Rehabilitation Hospital, then Timmins next week for a one day presentation in the community. This has been a full and busy Fall with a lot of writing and workshop design and more to come. It’s a wonderful profession. Truly. “Dr. Lois Frankel literally wrote the book on coaching people to succeed in businesses large and small around the globe. Nice Girls Don’t Get The Corner Office and Nice Girls Don’t Get Rich are international bestsellers translated into over twenty-five languages and featured on the TODAY Show, CNN and CNBC, in the New York Times, USA Today, and in PEOPLE and TIME Magazines. Business Week named Corner Office one of the top ten business books of the year when it was released. Based on early sales and press, See Jane Lead, a new book about why women make natural leaders for our time and how to harness your own leadership talent, is headed for similar popularity. Frankel’s books are clearly written, down to earth and inspiring. A 4 hour work week? I’m on vacation this week so this will be a brief entry to share a few thoughts about a book I picked up to read on hols. It is called “The 4 hour work week” by Tim Ferriss and is on the NY Times #1 non fiction best seller’s list. I have to say I am a bit conflicted about the book but I read it from cover to cover and went to his blog several times so he’s clearly doing something right. The conflict is that I find this book at once fascinating and a bit unsettling. Ferriss will clearly do well in life as he’s a very high energy rule breaker who loves to debunk the way things work and explore how far you can push yourself (physically, intellectually and societally, how to push the limits of all sorts of rules) but I am not sure his ideas will work for everyone. This book is really destined for those of you who have an entrepreneurial spirit and want to strike it on your own or those of you who want to explore ways of working part time. What I particularly enjoyed were his observations of the current entrepreneurial “rat race.” Ferriss’ take home message is the following: in the search for MORE (more money to buy more stuff, the corporate rat race, working 70 hours a week, being trapped in the cycle of work/overtime/more work/collapse for the weekend/start again), many of us have forgotten how to live simply and focus our energy on our health and quality of our life experiences. I loved that last sentence. Do you know someone who is a success in business and a failure in life?